Prototype: Kreuztal North gantry-style signal tower, situated on the Ruhr-Sieg route at the Kreuztal passenger station, an electro-mechanical signal tower built in 1931 and currently under historic preservation. Model: This model is very intricate and detailed, precision laser cut with numerous details. The model's frame, interior, and superstructure are made of graphics card stock. Window material is included. 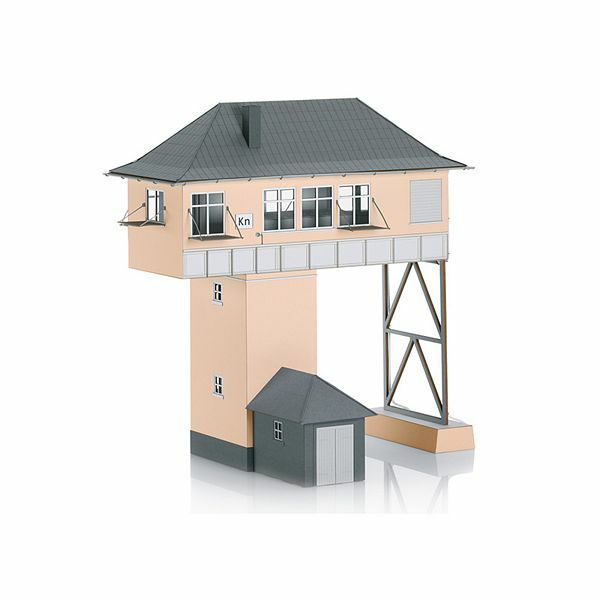 Signal tower dimensions: approximately 135 mm x 50 mm x 147 mm / 5-5/16" x 2" x 5-3/4" (L x B x H) H = ridge height.